Between melting ice caps, droughts, wildfires, hurricanes, sinking cities, and record-breaking cold in the winter, the effects of climate change are hard to contemplate. For the well-traveled, it’s impossible to think of the Swiss Alps not covered in snow, a Dead Sea without the water, or Florida without the Keys–but many of these beloved destinations are already feeling the effects of climate change. 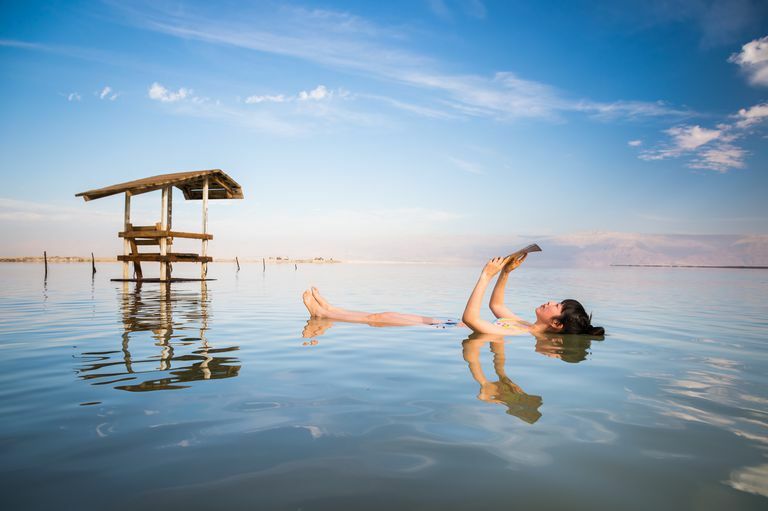 Would the Dead Sea be worth visiting without the sea? It’s already lost about one-third of its surface area and is shrinking an estimated four feet annually. But wait, it gets more terrifying: While sinkholes started forming around the Dead Sea during the ‘70s, they’ve been appearing along receded water lines more frequently in the last decade. Experts predict that if things continue, the Dead Sea could be completely dry by 2050, and, because of the sinkholes, it’s beaches a hazard. Stretching across eight European countries, the Swiss Alps is known for being one of the best skiing and snowboarding destinations in the world—attracting nearly 60 to 80 million tourists per year. But in the last few years, rising temperatures have caused significant snowmelt on the slopes, while each year brings a shorter and shorter winter season. Time reported that in 2017 the winter season was a full 38 days shorter than it was in 1960. Even worse, scientists predict in the next 100 years you won’t be able to see snow on the mountains from the ground level. Resorts are already attempting to attract visitors in new ways, like offering spa treatments and horseback riding, instead of relying on the landscape’s natural—and dying—majesty. Touted as one of the most romantic destinations in the world, Venice is known for its picture-perfect canals, colorful charm, and old-world architecture. But as ice melts and sea levels rise, the famous Piazza San Marco has become better known for its flooding than its artistic inspiration. The city is literally sinking into the sea. In 2017, Italian artist Lorenzo Quinn molded a sculpture of hands reaching out of the Grand Canal to draw attention to the growing problem. Meanwhile, inventors and activists are investing in more advanced flood gates to prevent flood damage during the rainy season. In March of 2017, sea ice around the north and south poles hit a record low. Then, a few months later in July, an iceberg the size of Delaware and weighing 1 trillion tons broke off the Larsen C ice shelf. The continent is literally disappearing, and aside from bringing catastrophic water rise and flooding to the rest of the world, soon, the famous beauty of the arctic may melt off into legend. There’s been a rush to see the ice before it’s gone forever, and cruise lines—one of the biggest contributors to pollution in travel—have been cashing in. For the adventure traveler, it doesn’t get much better than the Alaskan Wilderness. But because it’s so far north, it’s feeling the effects of the Arctic melting more than most and is experiencing everything from permafrost melt to coastal erosion. The high(er) temperatures and melting ice caps are triggering landslides, and wildfires have devastated more forest in the last 10 years than ever before. Mumbai is one of the world’s most popular cities—home to more than 18 million people. The city is rich and diverse in culture, and travelers visit for everything from yoga to the beaches. But it’s a city with problems—most notably overcrowding and poverty. Their devastating monsoon seasons cause mass flooding within the city , oftentimes destroying entire slum villages in just a few hours. If sea levels continue to rise, major parts of the city could be left entirely submerged under water, forcing citizens to flee to higher ground. Even a 2-inch rise in the sea level by 2050 would leave the city under a constant threat of flooding. Set in the picture-perfect hills of Northern California, Napa Valley is one of the most sought out destinations for oenophiles and bachelorette parties alike. Home to over 1,000 wineries, the city is the perfect escape for those who want to relax, unwind, and enjoy the finer things in life. But with hotter summers and colder winters, Napa winegrowers have been forced to rethink their traditional viticulture methods to protect their crops’ flavors. Drier weather also means more devastating fires. In 2017, the wildfires destroyed over 162,000 acres of land and affected 25 wineries. Is it possible to imagine Florida without the year-round white sand beaches and crystal-clear waters of the Keys? Key West was long known for snorkeling, clubs, and pretty-colored buildings; that is, until Hurricane Irma turned the oasis into a disaster zone. But the Keys have long been in danger. Sea levels around the Keys are predicted to rise 15 inches over the next 30 years, putting them at risk for constant flooding. In February, officials approved a $1-million-dollar plan to elevate roads and prevent sinking, but this Band-Aid solution will only last so long—especially if sea levels continue to rise. Droughts in the Amazon have threatened plant and animal species and made the once lush rain forest prone to forest fires. 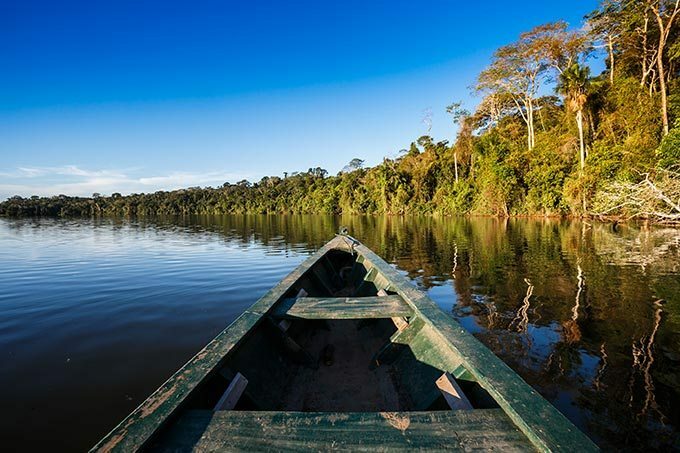 Just like the Swiss Alps—the Amazon is losing its “wet season” and the “dry season” lasts just under five months—putting trees and plant life at much greater risk than before. That’s not even considering the effects of deforestation. Put all those problems together, and the Amazon starts to look more like a savannah. Just like many beach destinations, the Maldives may soon be an underwater paradise, rather than a prime vacation spot. In an attempt to combat the problem, the island embraced mass tourism as a way to raise money needed to make proper developments. Unfortunately, this plan has forced thousands of locals to move away from their homes to accommodate building hotels and tourist attractions. For people who care about the environment, the future might look bleak. But there’s still action to be taken. Even small steps like opting to rent a bike over a car on your next vacation, or dining at local spots known for sourcing from local farmers, can make a big impact. If you want more, there are tons of organizations, both local and abroad, looking for volunteers and support—so if you find a cause you’re passionate about, show up and get involved. If you have money to invest, do it responsibly. Traditional funds at big banks and firms often include investments in fossil fuel and high-carbon companies. Last year, a study by Copower found that the traditional investment fund of $100,000 has a larger annual carbon footprint than a roundtrip flight. Finding investment options in line with your values make a world of a difference, and it doesn’t mean sacrificing returns. Aspiration offers professionally managed funds that are 100 percent fossil fuel free with only a $100 minimum initial investment. Interested? Learn more here.